DC Thomson announce partnership with Electronic Research Interchange (ERIC) - D.C. Thomson & Co. Ltd. The partnership will enable ERIC to create tailored research solutions for both investment managers and research providers, using DC Thomson’s digital publishing experience to source and deliver quality research content that caters to their specific needs. 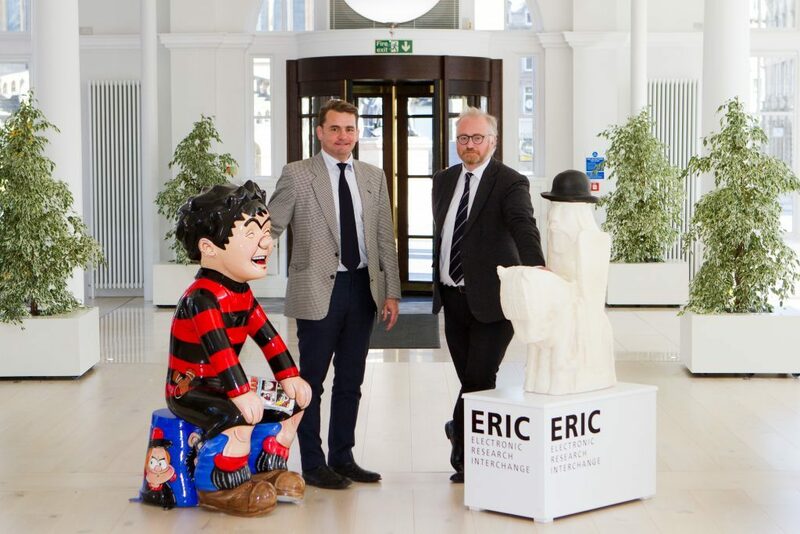 ERIC has chosen a non-financial services industry partner to retain the independence of its proposition and to benefit from DC Thomson’s indexing technology and expertise. As a new industry of investment research platforms emerges, ERIC’s business model will enable its users to trade information securely. With the MiFID II implementation deadline fast approaching, a number of DC Thomson’s staff will work on the ERIC platform to implement specific, individual manager and research provider requirements. The deal will provide the functionality to create advanced search solutions for a library of content capable of adding more than 200,000 research documents on a daily basis, allowing ERIC to manage the efficient processing of the research output of the world’s largest research providers. The project will benefit from further technical resource from DC Thomson Group businesses including Findmypast, the online genealogy service which has searchable indexes of billions of records.